In Matthew 25, Jesus taught that God was pleased with those who showed care and concern for people in prison. In keeping with this spirit and teaching, it is our mission to reach out and offer friendship, compassion and the Gospel of Jesus Christ to those who are often forgotten and overlooked. 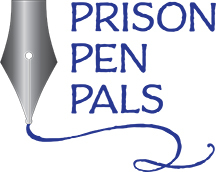 All of our Pen Pals are women in various facilities in Georgia who have been convicted of all types of crimes. You may decide to whom you are going to write and how often. You may write letters regularly to a Prison Pen Pal, you may send cards of encouragement on holidays, or you may just receive a list of women for whom you can pray. How often will I need to write a letter? Having a pen pal is a friendship through the mail. You are in control of how often you write and what you would like to say. Some women write to their PPPs once a month. It is up to you. Having a PPP is not like a ping pong game where you hit the ball and wait for it to return to you before you hit it back. It is more of a selfless act of giving and not expecting anything in return. Oftentimes your PPP cannot write back as she may not have the money for stamps or stationery. Will I be asked for money by my Pen Pal? It is possible. If you are uncomfortable with or unable to send $$ for stamps, etc., you may just explain that to your PPP in your letter. These inmates are not generally expecting money, they are just hoping to hear their names called out at Mail Call. Do I have to use my home as a return address? You may use the Cornerstone Church as your return address. If you do this you will receive your mail from your PPP from the staff on Sundays at services. What if I decide to discontinue my writing? This is not a lifetime commitment and should you decide for whatever reason you can quit at any time. Please let me know if you do so I can decide whether or not to reassign your PP. What are the current needs? We have women in Prison who are now waiting for a Pen Pal. If you would like to know more about our ministry, please contact Betsy Gooch at emgooch@msn.com.